American Airlines employees at Lynden Pindling International Airport have much to celebrate as American honors the team with the Customer Cup award for the third quarter of 2015. The Customer Cup award is categorized by market size from largest to smallest airports according to flight activity. The award recognizes employees for providing excellent customer service at the airport. NAS was awarded the Customer Cup for demonstrating the strongest performance and exceeding two out of five metrics, including Customer Complaints and Overall Airport Experience. NAS competes for this award against international airports with a similarly sized operation. 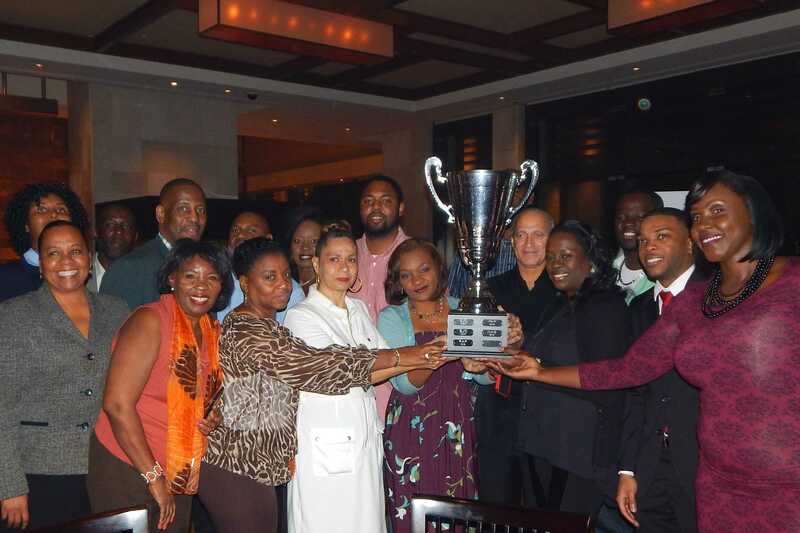 The celebration was held at the Mosaic Restaurant in Atlantis Paradise Island; joining employees during the celebration was Art Torno, senior vice president – International and Cargo, who traveled to NAS to present the Cup. “It’s great to see how working together we are making a difference for customers traveling to and from Nassau,” said Torno. Also attending was Deborah Coleby, vice president – Operations at Lynden Pindling International Airport, and from The Bahamas Ministry of Tourism, Tyrone Sawyer, senior director of Airlift Development, who congratulated the employees. The Customer Cup is part of American’s wider focus to improve the customer experience and employees are encouraged to bring forward ideas and solutions to improve the travel experience. Currently, American offers flights from the Bahamas to Charlotte, Dallas/Ft Worth, Miami, Philadelphia and Washington, DC. American offers up to 114 weekly flights between the Bahamas and the United States.